Heartbreak knows no true cure, but music can act as something of an antidote or coping mechanism to assist in dealing with it and suffering through it. 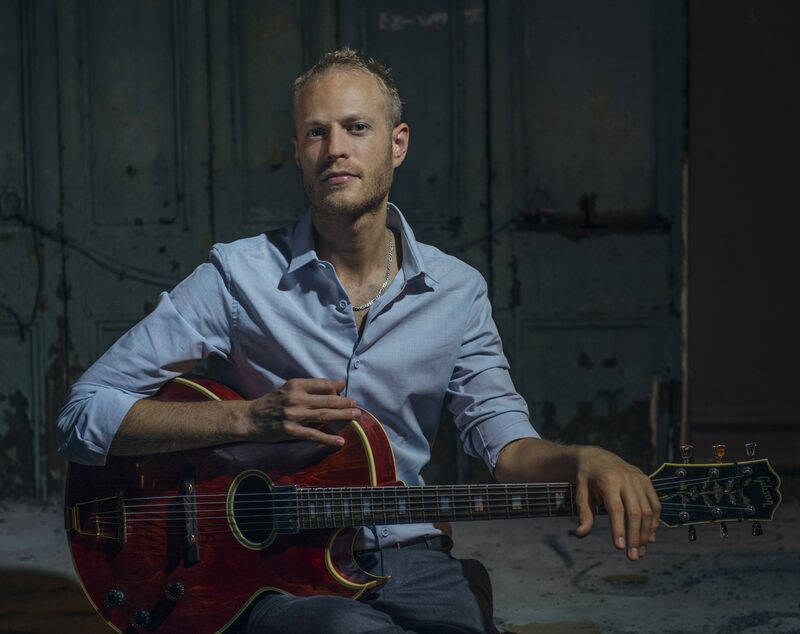 That’s what guitarist-composer Rotem Sivan discovered after a long-term relationship came to a swift and unexpected end. He turned to music to help him grapple with his demons and confront his new reality, emerging from the experience a year later with a newfound sense of emotional well-being and this powerful album. The creation of Antidote allowed Sivan to purify his soul while also giving him the opportunity to expand the range of the trio that appeared on his previous album—A New Dance (Fresh Sound New Talent, 2015). In bassist Haggai Cohen Milo, Sivan has found a stabilizing force capable of erecting and knocking down harmonic barriers. He anchors this ensemble while also providing lift. And with drummer Colin Stranahan’s broken beat flows, steady grooves, and dynamic shifts adding to the mix, Sivan has a fully-integrated trio that presents as so much more. With these nine originals and two covers, those three men send us on an odyssey that spans Sivan’s universe of knowledge and understanding. There’s never a dull moment in the journey, regardless of tempo or temperament, and the experience of hearing this music is both a lesson in passion and compassion. There are opportunities to see this trio open its stride—the propulsive “Shahar,” the hip and driving “Reconstruction,” the fractured and frolicsome “Sun Song”—but those energetic outlets aren’t the only scenarios that open the eyes and ears. Hearing Sivan grieve all by his lonesome on “Rustic Heart” and “Knives,” observing the evolution of the haunting title track as it moves from uncertainty toward an absolute, and being a fly on the wall as the trio allows the pressure to build across the opening minutes of “For Emotional Use Only” is just as satisfying as seeing this group firing on all cylinders. With the release of Antidote, this high-caliber guitarist has separated himself from the pack. But he does so by moving beyond technical realms. Sivan puts his heart into all of his work, whether it’s been pierced or it’s fully intact, and that most certainly elevates his artistry. He wraps pain in beauty for all to hear on this one.